Sometimes history throws up strange coincidences. On June 24, 2015, the same day hearings were held in Brussels to address Europes asbestos crisis, a paper was published documenting the human toll of Belgiums asbestos industry.1 The damning content of Enduring health effects of asbestos use in Belgian industries: a record-linked cohort study of cause-specific mortality (20012009), detailed the deadly 21st century impact of historical exposures and highlighted the importance of monitoring high risk cohorts. Elevated levels of asbestos-related mortality were found not only amongst former workers from the asbestos sector but also amongst people employed in the chemical industry, the construction sector, power generation, metals manufacture, railways and shipping. By yet another quirk of fate, as delegates took their seats at 9:30 a.m. in European Commission meeting room VMA2 at 2 rue Van Maerlant, news was circulating that Queen Elizabeth might need to vacate Buckingham Palace in order for asbestos remediation and other essential maintenance to work to be carried out.2 If even the Queen was at risk, was anyone safe in Europe? The June 24th Brussels conference Freeing Europe Safely from Asbestos was jointly hosted by the European Economic and Social Committee (EESC) and the Committee of the Regions (CoR).3 The European Federation of Building and Wood Workers (EFBWW) together with the employers organization European Construction Industry Federation (FIEC), the Belgian victim support group ABEVA (Association Belge des Victimes de l'Amiante/ Belgium Association of Asbestos Victims) and the International Ban Asbestos Secretariat participated in the organization of this event as collaborating partners. Facilitating the exchange of information was the availability of translations into English, Italian, Spanish and French. 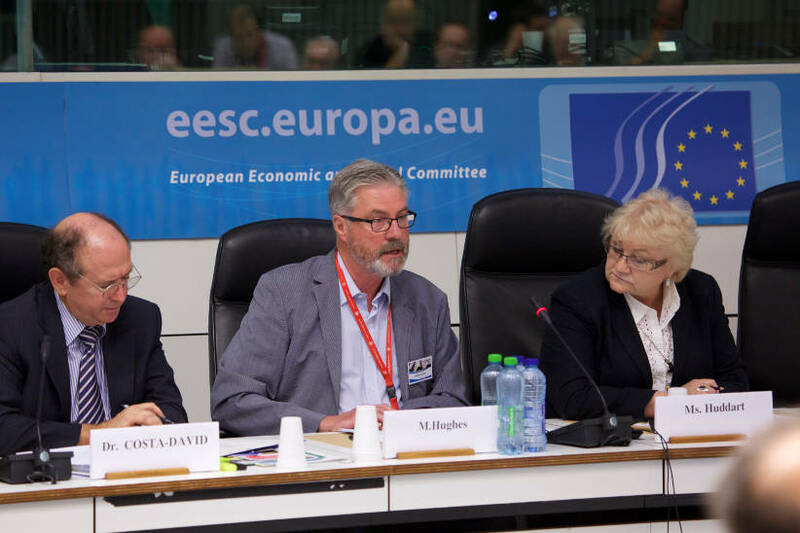 Conference delegates were welcomed by Enrico Gibellieri and Yoomi Rënstrom respectively the rapporteur of the EESC opinion on Freeing the EU from Asbestos, and the Chair of the CoR Commission for Social Policy, Education, Employment and Culture. Mr. Gibellieri thanked the two European Committees for their support of this initiative while Ms. Rënstrom called on the authorities to step up efforts to engage with Europes asbestos crisis: We owe it to victims to commit to eradication, she said. The first speaker of the day was Dr. Jorge Costa-David, of the European Commissions Directorate-General (DG) for Employment, Social Affairs and Inclusion. The European Commission had, he said, made efforts over recent years to address the multiplicity of asbestos challenges through collaborative actions involving the EU-OSHA, the European Unions information agency for occupational safety and health, and DGs for the: Environment; Energy; Education and Culture; Internal Market, Industry, Entrepreneurship and SMEs. Subsequent to the European Parliaments Resolution on Asbestos (March 2013),4 in June 2013, the Commission held a meeting to consider whether the European Commissions asbestos regime as laid down in directives and guidelines was fit for purpose. The minutes of this meeting had been produced but were not public. Two of the recommendations made  lowering asbestos exposure limit values set by the Asbestos Directive and mandating total removal of asbestos contamination across the EU  were, the speaker said, deemed by a majority of those representing EU Member States as unrealistic given the differences in technical capacity and resources of the 28 Members. In her introduction to Panel 1, Moderator Doreen Huddart personalized the discussion with details of her familys involvement with asbestos. As a nurse, Ms. Huddart had taken care of asbestosis patients in hospitals which were full of asbestos; the Newcastle civic center where she now works is also contaminated. Ms. Huddarts mother, uncles and aunt worked in an asbestos insulation factory in Newcastle where hazardous exposures were a daily occurrence. When operating costs, including the cost of paying compensation to injured workers, got too high, the company relocated to India. increased surveillance of EU imports to protect citizens from toxic products. Concluding his presentation, the speaker returned to the subject of the watered-down EU Occupational Safety and Health Strategic Framework 2014-2020, asking whether the EU was fit for purpose if it could not or would not tackle the very real threats posed by the asbestos hazard. in the European Union,14 cited the example of Poland as the only Member State to have established a financially backed action plan, targeting the removal of all still existing asbestos resources. Having highlighted the health hazard posed by low levels of asbestos exposure and mentioned todays (June 24, 2015) newspaper reports about asbestos contamination at Buckingham Palace,15 Mr. Plosceanu reinforced many of the recommendations made by Stephen Hughes urging the Commission to work with social partners to develop and fund work on national action plans to improve asbestos management and progress asbestos remediation. The final speaker of this panel was Mr. Mauro DAttis, a member of the CoR and the Brindisi Municipal Council.16 Mr. DAttis was highly critical of the excuses made for the lack of action on asbestos by the European Commission representative: We have a responsibility when we meet at this level to engage with this matter and not side step around it, he said. Financial and personnel resources must be allocated for an EU-wide program which would allow the seventeen European bodies working on occupational safety and health to maximize the impact of their efforts. 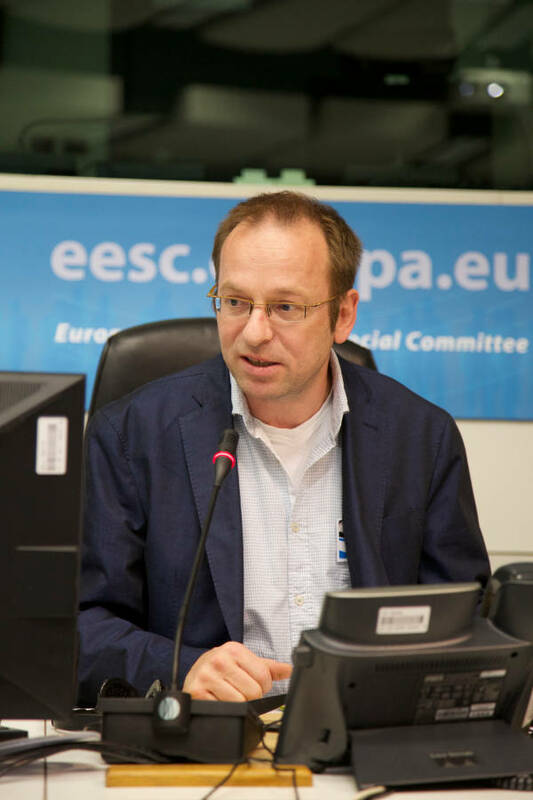 Moderator Lars Vedsmand, a Danish trade union asbestos expert, introduced the first speaker of this session: Mr. Rolf Gehring from the European Federation of Building and Woodworkers (EFBWW). In his presentation entitled Europe 2021  Asbestos Free,17 Mr. Gehring highlighted the need for a consistent EU asbestos policy which addressed a myriad of challenges such as: asbestos in buildings, trains and ships; decreasing asbestos knowledge, especially amongst younger workers in the construction sector; the lack of asbestos awareness of at-risk populations (e.g. property owners, tenants and building users); asbestos exposures in the recycling sector; gaps in market surveillance of international trade; lack of capacity for dealing with asbestos in new Central and East Europe EU member states. efforts to delineate and lobby for improved aspects of the EUs asbestos policy within its Occupational Safety and Health program (ongoing). Calling for a more precise approach from the European Commission on asbestos, the speaker urged the Commission to set an example by mandating a deadline of 2023 for the removal of asbestos from all public buildings  decontaminating schools should be a priority. Energy Efficiency in Buildings, was the topic addressed by Agata Kotkowska of the European Commissions Executive Agency for Small and Medium-sized Enterprises (EASME).25 Unfortunately, having discussed EASMEs input into the Commissions energy efficiency program and indicated the opportunity for synergies in training and energy innovation, the speaker failed to mention how the issue of asbestos was being tackled within this regime.26 Nevertheless, EASME, as a body which manages funding applications and project support for the Commission, would have a crucial role to play if the Commission agrees to combine asbestos removal with energy efficiency building programs. The final speaker in this session was Antonio Paparella from the European Commission's Directorate-General for Growth, Internal Market, Industry, Entrepreneurship and SMEs; his presentation was entitled: Challenges for the Construction Sector.27 Highlighting the importance of the construction sector to the EU economy  it provides 20 million direct jobs and accounts for about 10% of GDP  Mr. Paparella explained that the construction industry was at the interface of key EU policy areas regarding internal markets, industrial competitiveness, energy, the environment, climate change and social dialogue. Many EU structures contained asbestos as they had been built before the asbestos ban came into effect. It was essential for a plan of work by a competent firm to be drawn up prior to demolition or remediation to avoid hazardous exposures. Recommendations by the speaker included: the need to address issues arising from the transport, treatment, storage and disposal of asbestos waste; more support for SMEs, in particular those companies in at-risk sectors; new asbestos guidance resources, training and tools aimed at specific trades and professions. the hazards posed by letterbox companies which circumvent social security and other rules thereby endangering vulnerable workers. Having detailed high levels of regional asbestos consumption and an elevated incidence of asbestos cancer, Mr. Maroni described a program to remove asbestos contamination from the town. A map of the municipality with green and red circles illustrated areas where work had been completed (green) and those (red) where the environmental hazard remained. Areas of focus in the presentation included the problems posed by asbestos fibers in the attics of domestic properties and asbestos-cement waste that had been used in the paving of public spaces. In addition to remediation of the 94,000 m2 of the Eternit factory site and removal of asbestos materials from lofts and paved areas, at the outset of decontamination there was an estimated 2.2 million m2 of asbestos-cement roofing tiles and sheets to be replaced. So far, 1 million m2 of such roofing materials had been removed; to deal with the huge amount of contaminated debris a new public dump for toxic waste had been created. Due to time constraints, the speaker was only able to illustrate some of the measures and techniques used to remediate the town. It is unfortunate that more time was not available as his information was extremely pertinent to the discussions of the day. The responsibility of employers to asbestos-injured workers was the subject of the contribution by Mr. Andrzej Konieczka, from Cembrit, formerly an asbestos-cement manufacturer in Poland.30 Prior to Poland banning asbestos in 1998, Cembrits Trzemeszno factory produced 100,000-120,000 tonnes of asbestos-cement corrugated sheeting using 10,000-15,000 tonnes of asbestos, mainly chrysotile, per year. From 1968 till 1998, 3,500 employees were at risk of occupational exposures to asbestos. Despite measures implemented by the company, including personal protective equipment, age restrictions, medical check-ups and an anti-smoking campaign, Cembrit workers contracted asbestosis, lung cancer, mesothelioma and diffuse pleural thickening. Over a period of seven months, beginning on December 3, 1998, €400,000 was spent to decontaminate the Trzemeszno factory and industrial site; technical expertise was brought in from Italy to undertake the remediation. The 902 tonnes of asbestos-contaminated debris from the plant were dumped at a landfill waste site set up by Cembrit. Once decontamination was complete, on October 16, 1998 production of asbestos-free roofing material sold under the Eurofala brand name was begun. The company continues to monitor the medical condition of former workers as well as current workers and cooperates with the national Amiantus program to identify and support people with asbestos disease. Between 2010 and 2014, 844 at-risk workers were tested and 46 cases (5.5%) of asbestos-related disease were observed. Compensation is paid to all Cembrit workers who contract these diseases. education of the public and local authorities about the asbestos hazard and the highlighting of inappropriate actions employed during the Clean Up Slovenia in One Day program. From 1965 until it was banned in 1996, Slovenia imported asbestos fiber for industrial processing by fourteen companies employing thousands of workers; the vast majority of asbestos consumed was chrysotile asbestos although amphibole fiber was used from 1965 until 1990. The early 1980s was the heyday for asbestos consumption in Slovenia with the production of asbestos-cement building materials absorbing most imported fiber. According to regulations, people suffering from asbestos-related diseases including pleural diseases (plaques, hyalinosis, effusion, thickening), malignant mesothelioma (pleural and peritoneal), lung cancer and several other cancers (gastrointestinal and laryngeal) were eligible for compensation. Sixty per cent of the compensation awarded to an individual was paid for by the government with the former employer paying 40%. In cases where no employer can be found or does not exist, the government pays the full amount. Despite progress, much remains to be done. Failure by communities to designate asbestos dump sites and charges incurred for the removal of asbestos waste have resulted in an increase in the amount of illegal asbestos fly tipping. The speaker recommended that state or local communities pay for the collection and disposal of asbestos and asbestos-cement waste. 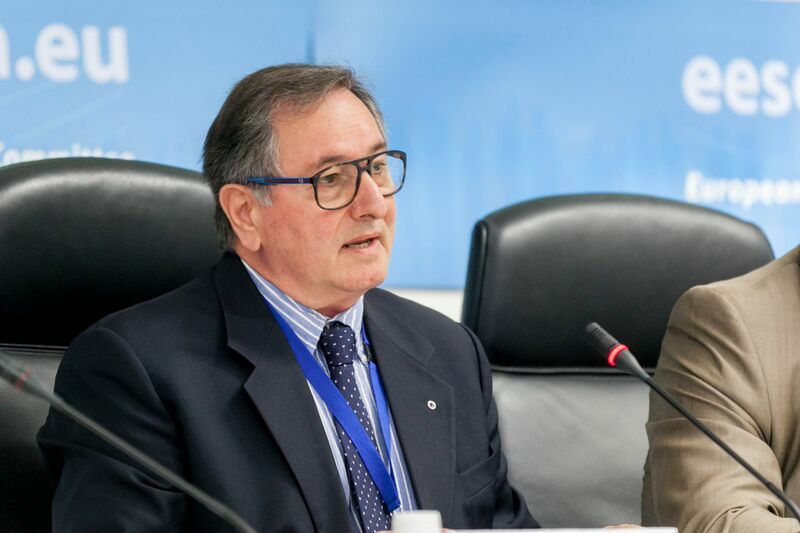 The final speaker in Panel 3 was Bernard Gay, a board member of the French Company of Social Housing whose subject was: Le Logement Social et LEradication de LAmiante [The Eradication of Asbestos in Social Housing].32 Mr. Gay, the former Director-general of the Nord-Pas-de-Calais Regional Chamber of Commerce and Industry, presented data and graphics illustrating the huge scale of the challenge posed by asbestos-containing products in social housing in Nord-Pas-de-Calais, a densely populated industrial region which is home to 7% of Frances population, 83% of whom live in urban communities and 40% of whom are under the age of 25. Oxalia, a social housing cooperative, provides 105,000 units of rented accommodation which is home to 280,000 people; 80% of the units were constructed before 1997 when the use of asbestos was banned in France. Measures put in place to identify and manage the contamination as specified by French legislation were described, including asbestos audits and training regimes. Financial constraints were a significant factor in the equation with the decontamination of kitchens costing €15,000 and homes €40,000; the speaker pointed out this money could be used to build new social housing or update energy efficiency in older properties. Other methods for dealing with the hazard such as encapsulation and/or managing the situation with inspections required every three years were considered. Eradicating asbestos from the French infrastructure was, Mr. Gay said, a public health issue which was beyond the remit of social housing. A new regulatory framework was needed with workable goals  current French regulations were, he said, too cumbersome and expensive to administer. Clearer guidance that addresses the multiplicity of factors involved and the creation of a European fund to solve the enormous challenge of asbestos removal were recommended. 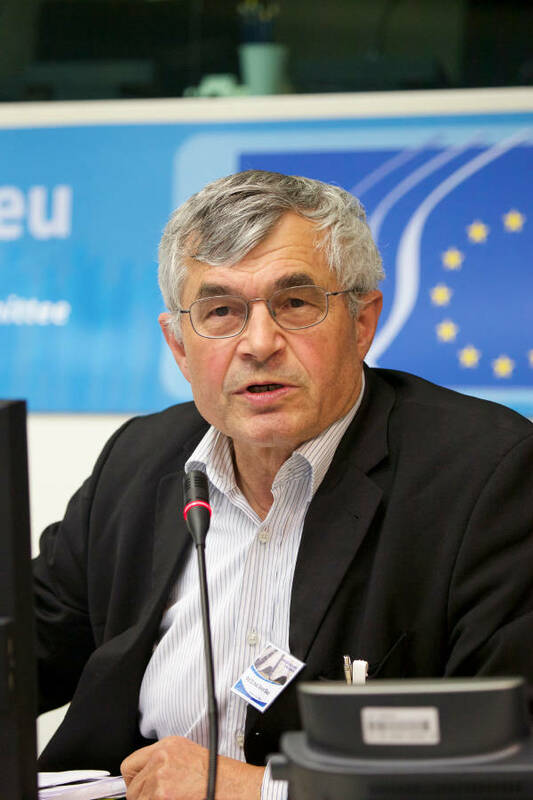 Enrico Gibelleri, rapporteur of the European Economic and Social Committee opinion on Freeing the EU from asbestos, explaining the early retirement scheme and social security supplements for asbestos-exposed workers in Italy. The subject addressed by the second speaker Prof. Dr. Xaver Baur, an occupational physician from the Institut fr Arbeitsmedizin  Charité, Universittsmedizin Berlin (Institute of Occupational Medicine  Charité, Berlin Medical University), was Prevention, Recognition and Compensation of Asbestos-induced Diseases.37 There was, Prof. Baur said, a global pandemic of asbestos mortality with more than 100,000 global deaths/per year. Human exposure to all types of asbestos can cause: asbestosis, pleural plaques/fibrosis, cancers of the lung, larynx and ovaries and mesothelioma as well as increase the risk of gastrointestinal cancer and non-Hodgkin lymphoma. A graph plotting German asbestos consumption from 1965 until 1990 and the number of claims for mesothelioma, asbestosis, pleural plaques/fibrosis and lung cancer revealed a 40-year delay in the manifestation of disease typical of asbestos-related illnesses and a huge under-recognition of claims. Of 8,949 claims brought in 2012 only 3,657 were acknowledged and 2,235 (25%) compensated. One of the tools used to deny the validity of asbestos claims in Germany was evidence provided by scientists and researchers linked to asbestos vested interests. In testimony given in Ohio on April 18, 2014, expert witness Dr. Victor Roggli agreed that low level exposures to amosite and crocidolite asbestos could cause mesothelioma, but that the same was not true for chrysotile. Upon closer questioning, Roggli admitted that opinions such as this had earned him $6.5 million. 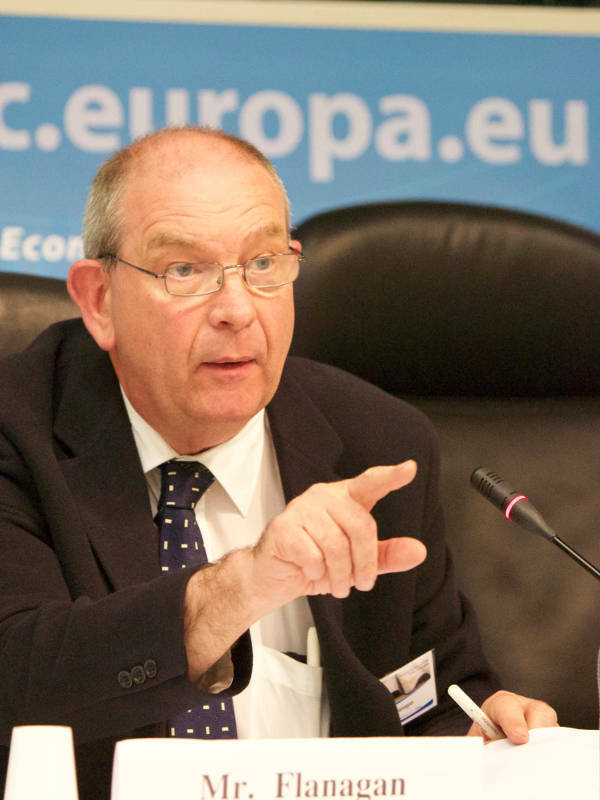 Professor Baur stated categorically that the assertion that chrysotile can be safely used under controlled use conditions is not substantiated by recent investigations. While several countries have dismissed research commissioned by vested interests, restrictive compensation practices based on unsound science, continues to affect the rights of German asbestos victims. Representing the UK Asbestos Victims Support Groups Forum (the Forum) was John Flanagan from the Merseyside Asbestos Victims Support Group. Since it was formed by nine victim support groups in 2000, the Forum has taken center stage in the battle over asbestos victims rights providing a national voice on behalf of victims and their families on a variety of issues affecting their daily lives, such as medical care, legal assistance and welfare benefit support. Virtually all victims receive home visits, help with applications for government benefits and ongoing support during their illnesses; all of these services are provided free of charge. To counter pressure brought by powerful industry lobbyists, the Forum had instigated successful legal actions and judicial reviews to safeguard victims access to the courts and full eligibility for compensation awards. 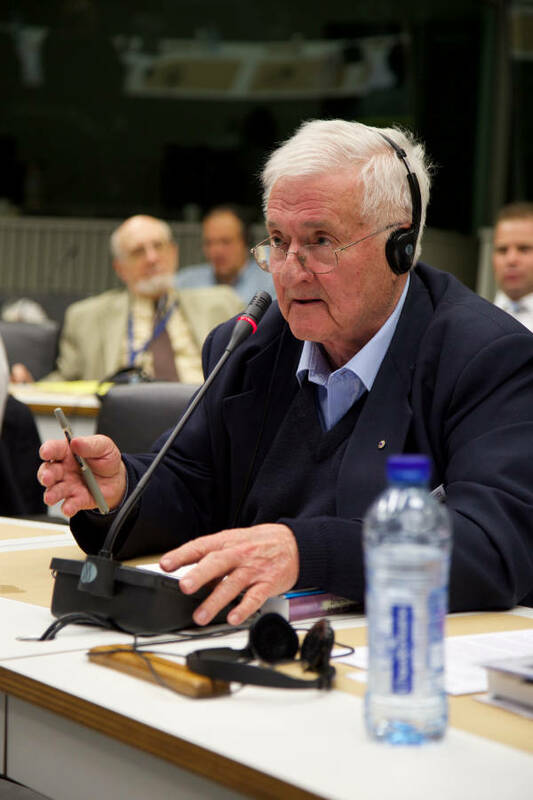 The personal tragedy of Andrew Burns was reinforced by the experience of the next speaker, Eric Jonckheere, the President of the Belgian asbestos victims group, ABEVA. Considering that ABEVA was involved in planning this event and that it represents the voice of Belgian victims, it was both insensitive and inexplicable that its input to the conference was left until the end of the seminar when some delegates had already left and the concentration of those still present was failing after a long and intense day. Nevertheless, Mr. Jonckheere contextualized the Jonckheere familys tragedy within the global landscape highlighting the universality of the asbestos epidemic.39 The speakers father, mother and two brothers had all died from mesothelioma, having been exposed to asbestos liberated by the Eternit asbestos-cement factory in their home town of Kapelle-op-den-Bos in the Flemish part of Belgium. The deadly consequences of the national asbestos legacy were illustrated by maps showing high incidences of asbestos-related mortality in industrial hotspots including Kapelle, Harmignies, Sint-Niklaas and Antwerp. Belgiums asbestos dialogue, which for decades was dominated by vested interests, was irretrievably changed by the efforts of asbestos victims Françoise Jonckheere, the speakers mother, and Luc Vandenbroek, the founders of ABEVA. As a result of their determination to expose the scandal and their refusal to be cowed by the industrial might of Eternit, the first asbestos cases were instigated. The litigation in the high-profile case brought over Françoise Jonckheeres environmental asbestos exposure, which was successful in the lower court, remains ongoing with no resolution in sight. Having cited multiple examples of current asbestos hazards, the speaker emphasized the importance of the work accomplished by asbestos victims not only in improving the plight of those in their home countries but also in supporting the efforts of similar groups internationally. 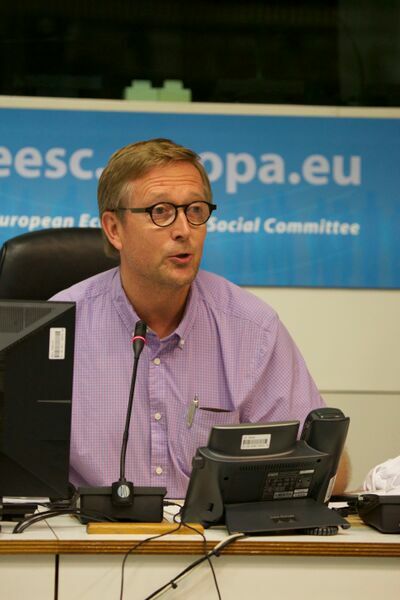 Calling for greater protection for at-risk construction workers, Mr. Jonckheere pointed out that none of the €428 million allocated by the EU to Wallonia had been designated for the removal of asbestos from schools, despite indications given by Finance Minister André Flahaut at a May 2015 meeting with ABEVA that this was a priority issue; 70%+ of Wallonia schools contain asbestos. 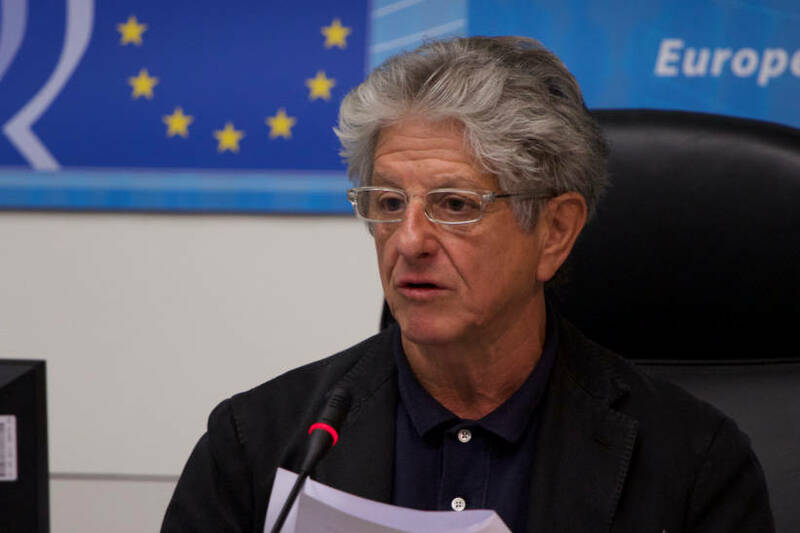 He reiterated calls made by speakers for action by the Commission to: combine energy efficiency measures with asbestos removal strategies; prioritize asbestos training not only for those in the removal industry but also for people at high-risk of exposure such as those working in renovation and maintenance; encourage Member States to develop asbestos building registers; formulate a coherent and comprehensive EU asbestos policy. Making no effort to hide her frustration with the Commissions dismal record on asbestos, Ms. Rënstrom called for an end to the blame game between different levels of governance and a review of the EUs failing asbestos policy. Regional and local authorities have a key role to play when implementing measures to address asbestos-related challenges but they must be given the appropriate resources to do so, she said. The European Commission cannot hide behind excuses such as lack of resources, any longer. The lack of urgency and political will to confront the EUs deadly asbestos legacy was unacceptable and could not be tolerated. Her statements and demand that the Commission must stop passing the buck were loudly applauded. to be afforded the opportunity to take part in the asbestos hearings in Brussels. We hope that those who attended will return to their countries determined to end asbestos exposures and support people like Andrew Burns who lost his courageous fight for a life ended so cruelly by occupational exposure to asbestos. did not address the subject at hand  the path to an asbestos-free Europe. The approach taken and the information presented by Mr. Gehring of the European Federation of Building and Woodworkers, however, was extremely relevant as were recommendations about the need for the EU to provide financial support for programs to foster an asbestos-free Europe by municipalities and regional bodies. To that end, it was disappointing that there was so little input from local and regional authorities on June 24. 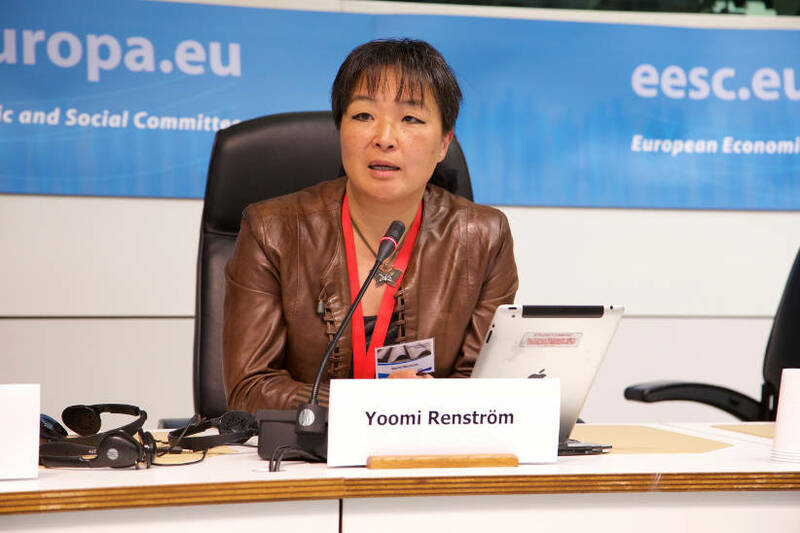 Ms. Yoomi Rënstrom whose call to arms ended the conference on an upbeat note. 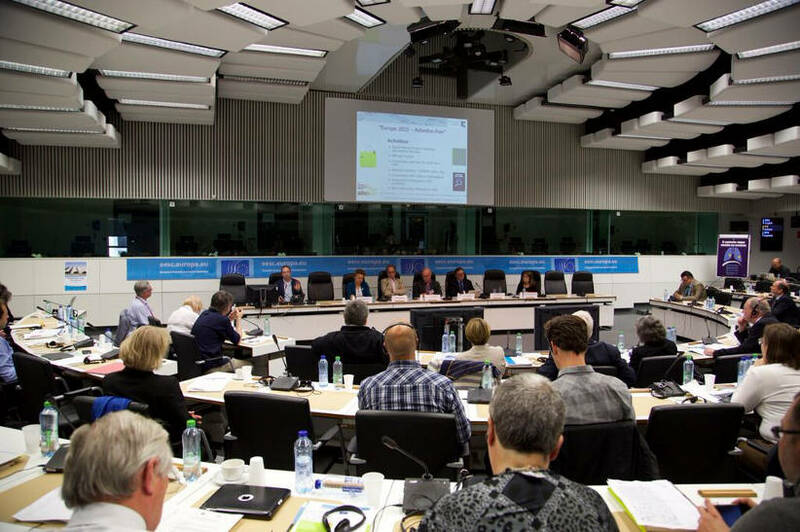 During question and answer sessions, many delegates pointed out that after years of talking about asbestos, a coordinated European action plan was still a pipe dream. Given the indefensible failure of the Commission to act decisively on a substance killing tens of thousands of its citizens every year, one UK trade unionist asked what possible arguments could be made for the UK to remain in the European Union? Ms. Rënstrom spoke for many of those in attendance when she said that excuses by Commission officials would no longer be tolerated. 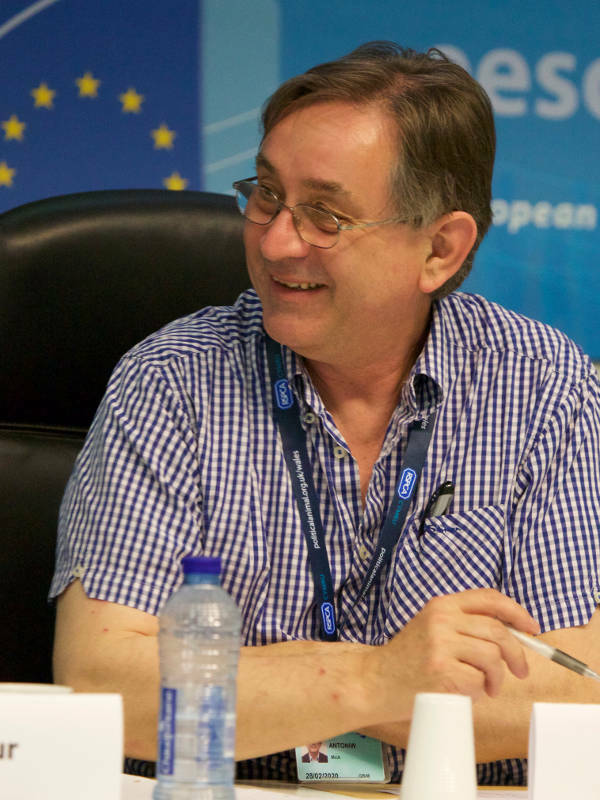 If, as Rolf Gehring believes, the discussions on June 24 lead to the formation of an agency to coordinate the European Commissions asbestos policy over various directorates, then it will indeed have been a pivotal meeting. If, however, this does not occur, then it will confirm suspicions that this event was a sop for civil society stakeholders and a piece of expensive window dressing. Does the Commission have the political will to confront the humanitarian catastrophe killing tens of thousands every year? If so, now is the time to do so. 1 Van den Borre L, Deboosere. Enduring health effects of asbestos use in Belgian industries: a record-linked cohort study of cause-specific mortality (20012009). June 24, 2015. 2 Queen could move out of Buckingham Palace. June 24, 2015. 3 Agenda for Freeing Europe Safely from Asbestos. June 24, 2015. 4 European Parliament resolution of 14 March 2013 on asbestos related occupational health threats and prospects for abolishing all existing asbestos (2012/2065(INI). 5 Senior Labour Inspectors Committee Guide on Best Practice to Prevent or Minimise Asbestos Risks (2006). 6 Practical guidelines for the information and Training of Workers involved with asbestos removal or maintenance work. 2012. 7 Directorate-General for Employment, Social Affairs and Inclusion, European Commission. Information notices on occupational diseases  a guide to diagnosis. 2009. 8 European Economic and Social Committee. Freeing the EU from Asbestos. February 18, 2015. 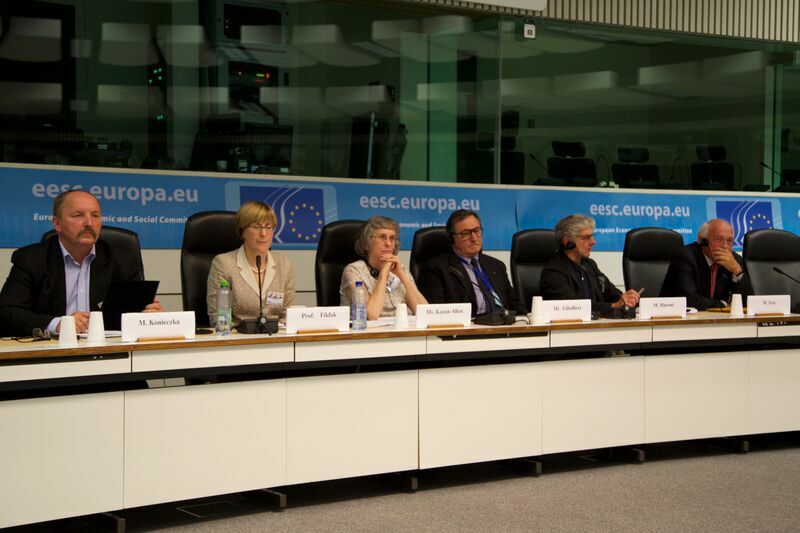 9 Also see 2012 Brussels presentation by Costa-David: Asbestos Policy  The EC and its role. 10 European Parliament resolution of 14 March 2013 on asbestos related occupational health threats and prospects for abolishing all existing asbestos (2012/2065(INI). 11 contentcontentEU Occupational Safety and Health (OSH) Strategic Framework 2014-2020. 12 Commission Recommendation of 19 September 2003 concerning the European schedule of occupational diseases (notified under document number C (2003) 3297). 2003. 14 European Economic and Social Committee. Freeing the EU from Asbestos. February, 2015. 15 Rayner G. Queen might have to move out of Buckingham Palace amid �151million of repairs. June 24, 2015. 16 EU-Committee of the Regions EU OSH Strategic Framework 2014-2020. March 13, 2015. 17 Gehring R. Europe 2021  Asbestos Free. June 24, 2015. 20 European Parliament resolution of 14 March 2013 on asbestos related occupational health threats and prospects for abolishing all existing asbestos (2012/2065(INI). 21 Freeing Europe Safely from Asbestos. 2015. 23 Kazan-Allen L. Conference: Europes Asbestos Catastrophe. November 9, 2013. 24 The powerpoint by C.G. Herguedas is not available online. 26 Kotkowska, A. Energy Efficiency in Buildings. June 24, 2015. 27 Paparella A. Challenges for the Construction Sector. June 24, 2015. 28 Maroni F. The White Town. June 24, 2015. 29 The operations of the Eternit asbestos-cement factory in Casale Monferrato began in 1907 and ceased in 1986 when the company declared bankruptcy. 30 Konieczka A. Employers Responsibility towards Employees Exposed to Asbestos at Work. June 24, 2015. 31 Dodiè Fikfak, M. The Slovenian Asbestos Case. June 24, 2015. 32 Gay B. Le Logement Social et LEradication de LAmiante [The Eradication of Asbestos in Social Housing]. June 24, 2015. 33 Recovery of Medical Costs for Asbestos Diseases (Wales) Bill. 2012. In 2015, the Supreme Court ruled that under devolution, the Welsh Government did not have the power to legislate on this matter. Welsh Assembly's 'asbestos law' thrown out by the Supreme Court. February 9, 2015. 34 European Economic and Social Committee. European Committees raise alarm on Europe's silent epidemic. Asbestos related deaths predicted to double those of road deaths. June 25, 2015. Kazan-Allen L. Confronting Europes Asbestos Crisis. June 24, 2015. 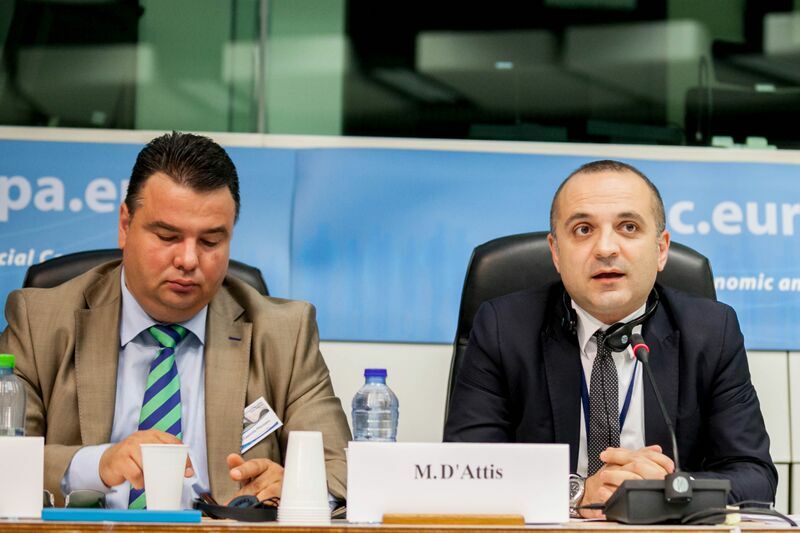 35 EESC-CoR press release: European Committees raise alarm on Europes silent epidemic. Asbestos-related deaths predicted to double those of road deaths. 25 June 2015. 36 Email received by Laurie Kazan-Allen from one of the authors of the report. June 1, 2015. 37 Baur X. Prevention, Recognition and Compensation of Asbestos-induced Diseases. June 24, 2015. 38 The footage shown featuring Andrew Burns was taken from a video produced by the Forum of Asbestos Victims Support Groups entitled: Mesothelioma  The Human Face of an Asbestos Epidemic. 39 Jonckheere E. Belgiums Asbestos Scandal. June 24, 2015. 40 Gibellieri E. Freeing Europe Safely from Asbestos. June 24, 2015. Kazan-Allen L. Interim Report: EU Asbestos Action. June 27, 2015. 42 Kazan-Allen L. Overview of the European Asbestos Seminar and Related Meeting. October 10, 2001. 44 Kazan-Allen L. Asbestos  Still a Killer! July 6, 2011.